One of the reckoning points when we watch apocalyptic shows like Revolution, the Walking Dead or the series Life After People is how quickly life as we know it vanishes without the power grid, at least for those of us in First World existences. Without electricity, settlements in areas of extreme heat (like Las Vegas) or cold (like North Dakota), or that rely on either irrigation for water supply or on power to rid them of excess water could not sustain the population under natural conditions, at least not on the scale to which they have developed. High rise buildings are not sustainable without electricity to run the elevators and provide light, heat, water flow and necessary services. City sanitation breaks down without sewer treatment facilities and garbage trucks can’t pick up trash if electric gas pumps don’t work. In my novel Ice Forged, magic functions like the culture’s power grid. Most magic is of the small, convenient and useful variety–protecting crops from pests, draining swampy areas, preserving food, and the like. Magic is their science, and those small magics undergird more of their everyday existence than anyone realizes until one day, the magic disappears. A devastating war with the neighboring kingdom provokes the battle mages on both sides to employ a doomsday strike. The strike has the unforeseen consequence of breaking the bonds that had made it possible for people to control magic and returning the power to its wild, untamed state. Fire rains from the sky, weather becomes more extreme, and in all the hundreds of ways in which people had depended on small magics, life falls apart. While I’m not usually a fan of modern apocalyptic stories, I was intrigued by the premise for Ice Forged for a couple of reasons. 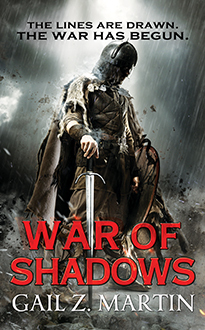 First, because it’s a medieval apocalypse, which was suited to an epic fantasy format. And secondly, because the idea of struggling to do things the old way, without magic, just got a hold of my imagination and wouldn’t let go. I was on an apocalypse panel at Dragon*Con where we were talking about what it would look like 10 years after The Event. We agreed that preserving the accessible (no disk drives!) forms of knowledge that explain how to do the crucial things (farming, first aid, surgery, canning, etc.) would be essential for society to rebuild in less time than it required to evolve those technologies the first time around. Blaine’s world has to go back four hundred years to find out how things were done without magic, so the transition is even starker. And in order to try to fix things, you’ve got to live long enough to make the attempt. In Ice Forged, one group that adjusts without difficulty to the lack of magic is the talishte, the immortal vampires. They remember how things were done centuries ago because they were around when it was done that way. And while they’re quite capable of coping without magical conveniences, some of the talishte join forces with my hero, Blaine McFadden to bring back the magic because they appreciate the civilizing value and the convenience that “power grid” provided. It’s the little things that disappear when the world ends, as much as the big things. 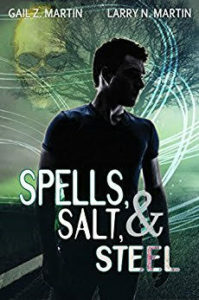 In Blaine’s world, when the magic fails, both the living and the undead have their reasons to get the world back on track, and their enemies have just as many reasons to want the dark times to stay as dark as possible. We live in interesting times. That’s not just an observation; it’s also a Chinese curse. What makes something “interesting” also tends to make it dangerous, unstable, and uncertain. Welcome to publishing in the modern era. Technological change, demographic shifts and lifestyle patterns have resulted in major transitions in how publishing works. The old pattern of having a career solely with traditional book or magazine publishers resulting in printed material is fast giving way to a variety of hybrid options that are as varied as the interests of the writers themselves. Authors with well-established traditional careers with major publishers are now experimenting (quite successfully) with bringing out their own reverted rights-books via ebook, either on their own or through small publishing companies set up just for that purpose. This means that authors are seeing revenue from books that may have been out of print for decades, and readers once again have the chance to experience old favorites they have not been able to purchase. We’re also seeing traditionally published authors with major houses doing self-published short fiction on ebook, either between-the-books novellas or series-related short stories. This is a boon to readers, who get additional material with favorite characters to tide them over between books, but it also builds an income stream for authors independent of their publishing contracts. In some cases, traditional publishers may choose to bring out books in ebook only format. This may be a novel with a niche audience, or it may be an older book whose sales numbers don’t justify additional print runs. The exciting thing for readers is that the books remain available, instead of going out of print. And for authors, the same is true, because their books still benefit from the editing, layout and cover apart services of a large publisher and remain on the market instead of disappearing from sale. Yet another variation involves established authors working with multiple publishing houses at once, or working simultaneously with both a large New York house and a smaller niche press on different, unrelated books. Not long ago, such an arrangement might have been possible for superstar authors with enough clout to get what they wanted, but taboo for most midlist authors. Now, it’s becoming common among authors at all levels. Small presses are coming into their own since technology allows them the production and print quality that was previously only possible with big publishers, and since the unfortunate demise of many physical book stores has made store distribution less of a differentiating factor. Not only is this good news for rising authors, but it provides more options for established authors who have a niche book that may be better served by a press catering to that audience. An interesting option involves established authors, some with superstar track records, starting their own small presses to publish their niche novels and books of other authors. This reminds me of the trend for successful rock bands and artists to go start their own record labels and begin producing music for other performers. I think this is an especially interesting trend to watch, since it could be a way for more new and up-and-coming authors to get more ink in the marketplace while making connections with senior authors who can mentor them. This option seems like a promising way to get more good books into the marketplace without the bureaucracy that can sometimes paralyze large publishers. Here’s the big advantage for aspiring and rising authors. Once the big pros blaze the trail, these options lose whatever stigma they might have had, meaning that the chances for publication and the career choices explode. I think we may be coming into an era where we see more fabulous book choices available for readers and more income-generating options for writers than ever before. That’s worth celebrating. What is it about National Enquirer headlines, traffic accidents and the end of the world that make us squeamish about looking and unable to look away at the same time? It’s kind of like being at the top of one of those really high observation decks and double-daring yourself to go to the edge and look over, while fighting that evil little voice in the back of your mind that keeps yelling “jump, jump, jump!” You don’t want to look, but you can’t help yourself. For me, that’s the appeal in writing about the end of the world. You don’t want to be there, but you can’t stop rubbernecking. Reign of Ash is the second novel in my Ascendant Kingdoms Saga series, due out from Orbit Books in April, 2014. It’s the sequel to Ice Forged, in which I took a lovely medieval world and blew it to smithereens all for the sake of adventure. Well, to be perfectly honest, conniving kings, territory-grabbing neighboring kingdoms and mages who became weapons of mass (magical) destruction really did the blowing up part. I just came along afterwards to chronicle what happened next. While I’m not usually big on modern post-apocalyptic stories, the idea of writing a medieval end-and-rebuilding story fascinates me. Perhaps it’s because the real Middle Ages had its share of end-of-the-world moments. I’m sure that’s what the fall of the Roman Empire looked like to the people living in the aftermath, as well as the time of the Black Plague, various and sundry dynastic wars, the Inquisition and periodic invasion by warlike neighboring kingdoms. 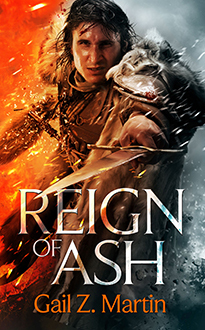 Reign of Ash follows up where Ice Forged leaves off. The kingdom of Donderath has been leveled by a combination of war and a catastrophic doomsday magical strike that not only brought down devastation on both warring kingdoms, but unexpectedly knocked out the magic on which the culture depended for its survival. Imagine depending on magic the way we rely on the power grid, and you get an idea of what’s at stake. What if the only person who might be able to restore the magic was a disgraced lord serving a prison sentence in an arctic penal colony? What if some powerful lords saw the opportunity to gain power by maintaining chaos?? 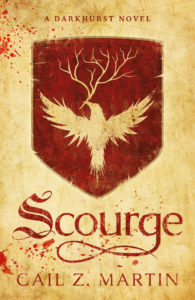 Those “what if” questions lay behind the creation of the Ascendant Kingdoms books. One of the intriguing questions for the survivors of the Cataclysm is what does the future look like, when just rebuilding what you had in the past won’t work? When you can’t get back what you’ve lost, where do you go from here? It’s a meaty question, and one that my characters will be exploring for several more books! I love writing epic fantasy–so why am I stepping over to spin some urban fantasy tales? 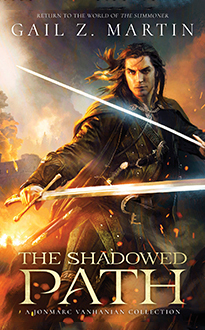 This year, 2014, will be the first time I’ll have new novels out in both epic and urban fantasy. 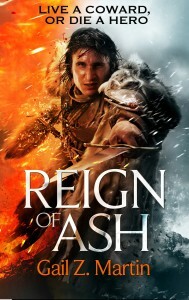 In April, Reign of Ash will continue the Ascendant Kingdoms Saga from Orbit Books. 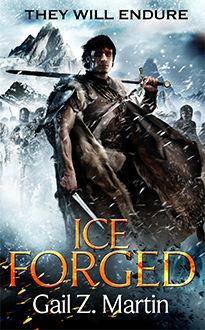 It’s the sequel to Ice Forged as the apocalypse continues in the kingdom of Donderath. 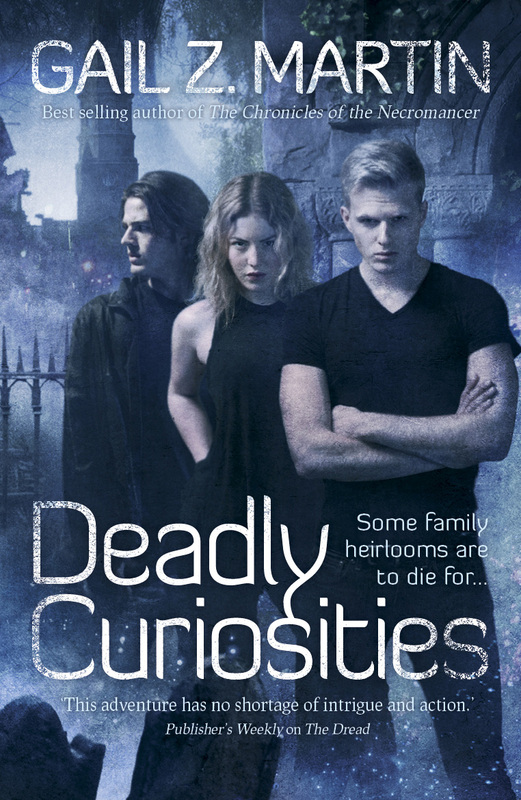 And in July, Deadly Curiosities from Solaris Books will introduce readers to a brand new urban fantasy world set in historic, haunted modern-day Charleston, SC. 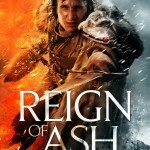 Reign of Ash will be my eighth epic fantasy novel. I love the broad canvas of epic fantasy, and the opportunity to tell a sweeping, complicated story that is both big enough to encompass kingdoms and dynasties and intimate enough to depend on personal relationships. I’m personally having a blast imagining the medieval apocalyptic scenario that lies at the heart of the Ascendant Kingdoms storyline. The high Middle Ages had a rich and complex culture, dependent on alliances, the feudal system, a network of trade agreements, and a complicated social structure. Layer in a dependence on magic akin to our reliance on the power grid, then blow the whole thing to smithereens, and you’ve got a ruined world ripe for intrigue, power games, social restructuring, chaos and anarchy on a scale that’s, well, epic. As someone who majored in medieval history in college, there’s a level of perverse pleasure in being able to make a living from a much-maligned liberal arts degree (see Mom, I knew what I was doing!). I enjoy writing what some people call “big fat fantasy” and novels the size of a brick because it’s fun to mentally move into a fictional world for an extended stay–packing a steamer trunk instead of a carry-on bag, so to speak. It’s exciting to tell a detailed, richly layered, complex story with a juicy tangle of plotlines that eventually sort themselves out to a conclusion on a big screen scale. So why venture into the dark alleys and shorter word count of urban fantasy? Because different stories require a different setting, and I had some characters that weren’t going to leave me alone until they got their own book. 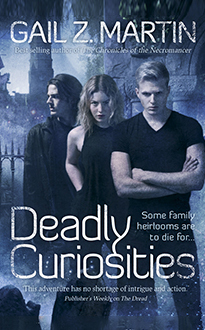 Deadly Curiosities grew out of a short story I did for the “Magic” anthology by Solaris books. That story, “Buttons” was set in the Trifles & Folly curio and antique shop, where the real mission is to find and remove dangerous magical objects from circulation. I’d been writing stories in that universe for several anthologies, but in different time periods ranging from the 1500s to the late 1700s, so “Buttons” was the first story set in modern times. 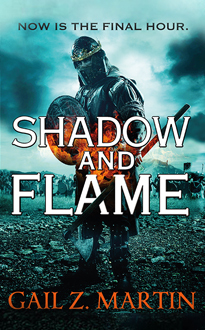 Since my epic fantasy series have always taken place in entirely fictional worlds, it was a new challenge to remain historically accurate while slipping supernatural mayhem into the mix. I discovered that jumping into a completely different setting, era and voice not only felt like taking a literary vacation, but it actually recharged my epic fantasy batteries as well. Switching back and forth between the two subgenres keeps me on my toes, and it’s created a level of energy and creativity that is both exciting and surprising. You know you’re in the right place when writing feels like too much fun to be how you make your living. Here’s to having a foot in both worlds! 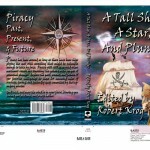 My newest book is A Tall Ship, a Star, and Plunder. I’m the editor. I am also the author of one of the stories therein. It is titled The Serpent and the Dagger. 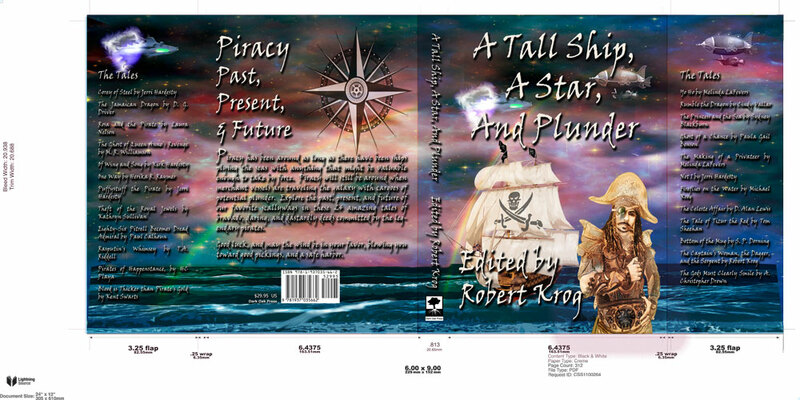 All the stories in that anthology are pirate stories, of course. Mine is about a pirate captain who takes what he wants on the high seas by virtue of his magical control of a sea serpent. The main character is one of the boarding party leaders who was originally kidnapped into piracy and deplores it. He makes an attempt to rid the seas of his captain and the serpent. 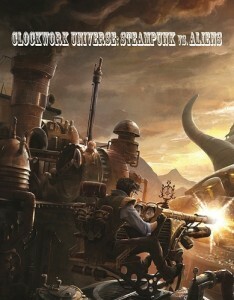 The anthology is available at www.darkoakpress.com It can be purchased in hardback, paperback, and on e-readers. 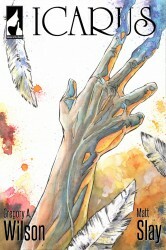 The whole anthology was inspired by the thought of having another venue in which to sell stories. I heard that there is an event called the Midsouth Pirate Fair which takes place in Memphis every September down at Mud Island. 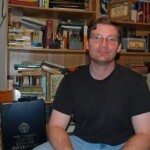 I asked publisher Allan Gilbreath of Dark Oak why he didn’t do an anthology of pirate stories, because I’d like to submit a story to it and then go to the pirate fair. He said he would if I’d edit it. The rest is history, except that the pirate fair didn’t take place as expected. Alas. The Serpent and the Dagger was inspired from I know not where. I know I was at work when I thought of it, but beyond that, I just don’t remember. Stories are funny that way. 3. How do you research your stories? If a story requires research I start with any books I own on the subject. After I have exhausted those, then I go to the internet and or the library. For the pirate anthology, I did a fair amount of reading from books left over from a college course I took on Colonial Latin America, which, of course, included quite a bit about piracy in the Caribbean. I reread parts of Pirates and Privateers of the Caribbean, and looked up pirate/nautical dictionaries online etc. For fiction, the amount of research that actually makes it into stories varies greatly with the story. After all the research on pirates, their history, and habits, and parts of ships, and naval warfare in the age in question, I think that only ten percent of it went into the story I wrote. It’s fairly obvious that for some of the other authors in A Tall Ship, more of their research made it into the stories. I try to avoid giving too much advice, just because I’m still pretty new myself. The safest advice I can give is this: Don’t give up. Always follow submission guidelines to the letter. Read as much as you can. Write as though it is your job. Read a book on writing by a successful author, such as Stephen King’s On Writing, but don’t treat it like Gospel or hard and fast rules. Be receptive to criticism. Maybe you’ve heard about Kickstarter. It’s one of several sites that are part of the crowdfunding trend that’s hot right now. Why should you pay attention? Because Kickstarter and crowdfunding are becoming an important part of publishing in today’s online world. Kickstarter is a site where inventors, authors, video game designers, product developers and people with a great idea can pitch it to the world and ask for funding. It’s the democritization of venture capital, making angel investors of us all, often for sums as low as one to five dollars. It’s interesting that Kickstarter and similar sites have catapulted to popularity during a recession, when credit is tighter than usual and publishing is struggling to reinvent itself. 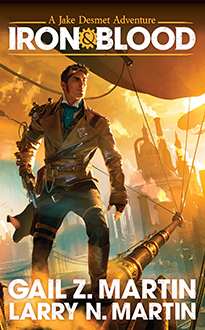 Publishing houses are worried about the bottom line, and that’s making it harder for authors to get contracts to continue midlist series or launch new projects. Small presses are picking up some of the slack, but they usually can’t offer much (if any) of an advance, and some authors need the security of money in hand before investing the work necessary to bring a book to life. Enter Kickstarter. If an author has a loyal following, even if that following isn’t huge, he or she can put together a Kickstarter project to write the next book in a series dropped by a publisher, start a new series deemed too risky by conventional publishers, or bring an anthology to market. Crowdfunding lets the market decide–and fund–what it wants. While this is a big change from the way things have been done in the last fifty or seventy years, in some ways, it’s a return to the way business has been done for thousands of years, with the help of patrons who underwrite expenses. Except that now, instead of finding a wealthy individual or a powerful institution, the average person can kick in a buck or five and maybe be part of the next big thing. Recently, I’ve been part of three Kickstarter publishing projects. Two of the projects raised substantially more money than their original goal, enabling them to add extra features. One project is still underway, but making great strides towards its goals. The first two projects were anthologies, and the third is a graphic novel. What’s important to remember is that each of these projects succeeds because it has made a direct connection with customers who want exactly that type of product, and aren’t finding what they want in the “regular” marketplace. Thinking about using Kickstarter for your next publishing project? There are some things you need to know. Kickstarter projects ultimately rise or fall on three key points: 1) the strength of the concept; 2) the social media energy of the product’s supporters; and 3) how well the concept originator communicates both the core concept and the specific benefits funders will receive for every funding goal met. In this sense, Kickstarter success is a quintessential exercise in marketing. 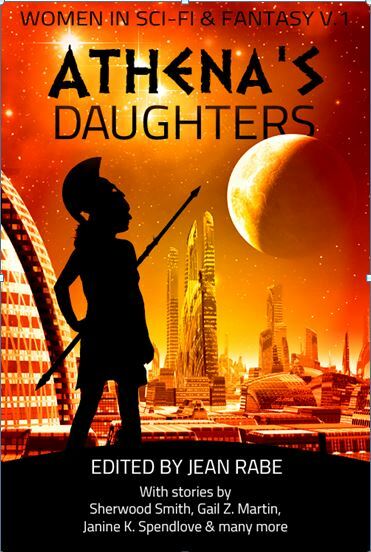 For example, the second Kickstarter anthology in which I participated (Athena’s Daughters) was an anthology of science fiction/fantasy short stories with adventurous female characters written by women writers. The authors on the roster ranged from established pros to lesser-known but published professionals to new authors. The Kickstarter outlined what rewards backers would receive every time the project reached a new milestone. Rewards included free ebooks, e-short stories, paper books and artwork, music CDs, professional services and recognition as a patron in the book. In addition, eight more authors were eventually added, making the original anthology a larger book, a second related anthology was funded, and a sequel was funded. All three books received enough funding to produce a trade paperback edition and a limited hard cover edition. In this case, the Kickstarter project had an original funding goal of $8,500, and in its 29 day run, 1907 individual contributors raised over $44,000 to bring the project to life. 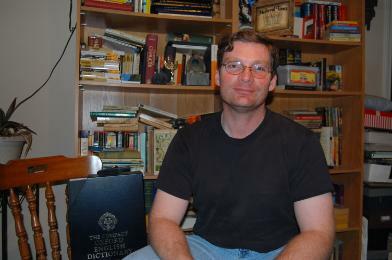 In exchange, backers got the entertainment value of watching the tally rise day by day (including a white-knuckle last half hour to hit the final goal that rivals any sporting match for drama), eight free ebooks (in addition to the original anthology), thirteen free e-short stories, a free music CD, free original artwork, and recognition for being part of the process. In addition, the project will donate a portion of the proceeds to charity. That’s a lot of value for a $5 contribution! The concept’s strength and originality is a key point in attracting backers. If you’re thinking of doing a Kickstarter, make sure you can clearly explain what your project is all about, why it’s different, and who is the intended audience. Here’s where marketing comes into play. Successful Kickstarters incorporate video to share their message, include lots of photos of the project, and go into great details about features and benefits. Likewise, they provide copy that outlines exactly what backers receive for their specific dollar-level contribution as the project reaches funding milestones encourages readers to invest. By including everyone in the rewards that are unlocked milestone after milestone, investors have a reason to help you spread the word, effectively marketing your project for you. Social media plays a key role in funding a successful Kickstarter. That’s one reason anthologies do well, because they are a team effort and appeal to the readership of a dozen or more authors. On the other hand, I’ve seen individual authors and product developers also successfully Kickstart their projects by reaching out to their personal networks through social media and encouraging friends to tell friends. Friends telling friends is really the secret to funding a Kickstarter, and it’s the essence of viral or word-of-mouth marketing. The more friends you can connect with early and often on social media, the more active you and they are in spreading the word, and the more interconnected interested parties are in talking up the project, the more buzz is in the marketplace and the more people find the project and contribute. For example, the Kickstarter anthology project included seventeen original authors. Most were already active on Facebook or Twitter. The authors immediately liked, friended and followed each other so they could retweet, share, like and comment on each other’s posts about the project. The Kickstarter also had a Facebook fan page, a Facebook event page, a Tumblr page, Twitter hashtags, Pinterest posts, a YouTube video and a Goodreads event. Authors and their friends talked it up on all those social media sites plus others like Reddit and Google+, and reached out to bloggers, podcasters and book review sites. They kept up a constant flow of commentary, banter, witty repartee and flat-out asking for funding for 29 days, often interacting with each other in real-time on multiple platforms at once. (And should you think the authors were all twenty-somethings, the average age was 40+). Kickstarter needs constant buzz. It’s not a set-it-and-forget-it medium. Kickstarter creates an exciting opportunity to reach what pundits call the “Long Tail” of customers. The “long tail” refers to the trail of a comet, which stretches on for a long, long time beyond the comet itself. The marketing theory around the “long tail” holds that there are viable niche markets that often go untapped because they are too small to be profitable for the business models of very large companies, but which can provide a very nice living for entrepreneurs or small, efficient companies that can tap that niche and provide a desired outcome. Thinking about bringing your product to market but stymied on funding? Take a look at Kickstarter. But remember, what appears to be just a funding mechanism is really an endeavor that requires a lively network, a clear concept, a niche audience and a lot of marketing mojo.